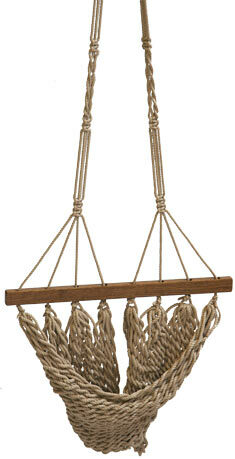 A great complement to your Hanging Chair. Abundant stitches provide added support to the entire lower leg, giving you the option of stretching out your legs for additional comfort while your head leans against the soft chair pillow (accessory sold separately). Hardware included, hook the S-hook directly into the chain of your Hanging Chair (or put up separately if desired). Adjust the length so the footrest hangs just below the seat of the chair. May be adjusted up or down for further personalized comfort.